The Boundary Close development is made up of eight 2 bedroom, with one upstairs bathroom and a ground floor WC bathroom dwellings, arranged in two terraces with four two-and-a-half-storey units in each. One of the unique features of the development is the lack of a central heating system in the design. 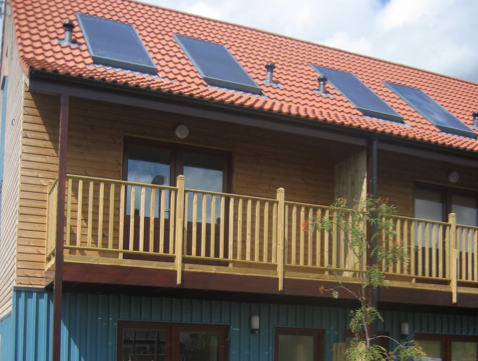 The panellised timber frame was prepared off-site and is insulated above Passivhaus standards and erected on-site. Testing has confirmed the dwellings to be very airtight and the project was complete with minor over costs compared to a typical social housing budget.